Sad news for music fans regarding The Fortunes vocalist and founding member Rodney Bainbridge (Rod Allen) who passed away on January 10, of 2008 at age 63. 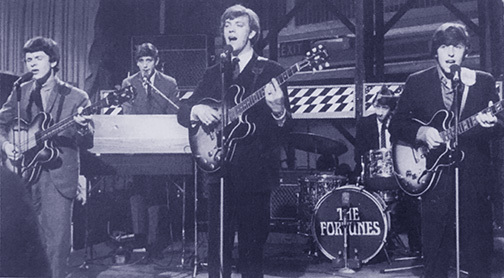 Rod's famous voice was known throughout the world as lead singer of "The Fortunes", one of Birmingham's most enduring pop music groups. Rod Allen who helped form the band with guitarists Barry Pritchard and Glen Dale will be forever remembered for his magnificent and melodic singing voice that made The Fortunes records so instantly recognizable. Their breakthrough recording of 'You've Got Your Troubles' in 1965, propelled The Fortunes to international success in the famous "British Invasion" which they shared along with other Brum groups at that time such as The Moody Blues and the Spencer Davis Group. As well as subsequent big hits including 'Here It Comes Again', 'Here Comes That Rainy Day Feeling', 'Freedom Come Freedom Go', and 'Storm In A Teacup' the Fortunes recorded 'It's The Real Thing' Coca-Cola commercial title-track; surely one of the most recognizable advertising jingles of all time. 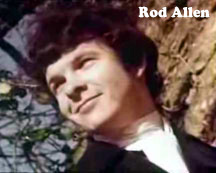 It is not only as a great singer but also as a great bass guitarist that Rod Allen should be remembered for. His fluent use of the instrument on stage while fronting the band and in the recording studio was always something to be admired. An avid golfer, Rod was a private person off-stage and preferred the company of his family when not touring with The Fortunes. The sudden loss of Rod Allen comes as a particular shock as he was only diagnosed with cancer just a few months before his death. Rod had enjoyed good health up to that time and performed with The Fortunes regularly - as he had done for the last five decades.